Taarak Metha Ka Ooltah Chashmah is one of the highest TRP rating TV serial. The show gave lots of fun to there viewers. It is produced by Nella Tele Film Limited. The show Taarak Metha Ka Ooltah Chashmah went on air on July 28, 2008. 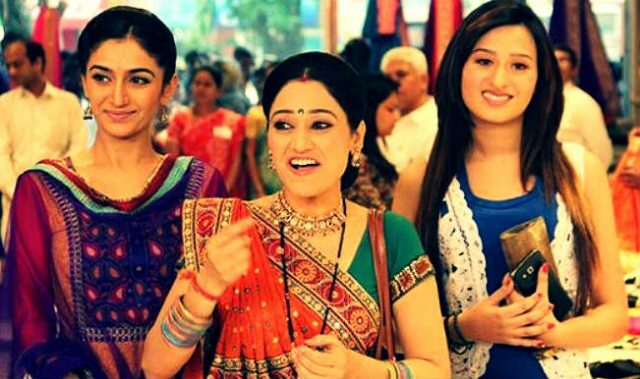 The serial airs from Monday to Friday on Sab TV. The show gives high voltage drama with too much fun to there viewers. There are so many viewers who follow daily updates of the serial. Today’s written episode of Taarak Metha Ka Ooltah Chashmah is all about Jethalal forgets Champak chacha in the bus. In the latest episode written update of Taarak Metha Ka Ooltah Chashmah begins along with other members of Gokuldham wasis reach their home late at night. Jethalal asks everyone to check their luggage as the bus will leave as soon as they think and then it will become so difficult to get their things. The scientist Iyer makes fun to Jethalal and asks him to check for his things as he is the most careless all over them. To listening, this Metha asks Iyer to not make fun of Jethala. They all get outside the bus and Jethalal makes the final payment to the drive. All of them reach their society safely and thanks Jethalal for a great Makar Sakranti. They said to Jethala that they all enjoy the surprise trip and everyone smiles. Metha asks Jethalal about Champak Chacha Ji and the former said that he must have gone home and slept. Tapu is seen sitting at the stairs when Jethalal asks him to come home. He then understands that Bapu Ji has not reached home. Tapu goes looking for Dada Ji at the temple but he unable to find him there as well. Popatlal then tells him that he saw Chacha Ji was sleeping at the last seat. Bihde then takes his scooter and Jethalal, Popatlal goes in search of Bapu Ji.